The Human Resources Association (HRA) is a society for students majoring, minoring or interested in Organizational Behavior and Human Resources. The HRA is student-run and membership is free. The society offers various workshops, events, information sessions and networking opportunities throughout the year. Students can get involved in the HRA by becoming members, volunteering or serving on the executive (elections take place each February or March). 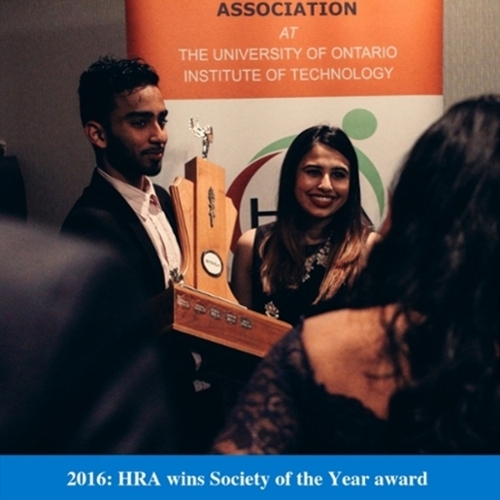 In 2016, the HRA won the award for Best Student Society of the Year. To join the HRA or to learn more, please visit the UOIT HRA Facebook page.